On January 1st 1959 a young lawyer (Fidel Castro) and doctor (Ernesto Che Guevara) entered government in Cuba and laid the foundations for a system of governance that has continued unabated to the present day. The creation of a health system ‘For All’ was central to the vision of the fledgling ‘revolutionary’ government in 1959. October 2017 marks the 50th anniversary of Che’s death in the Bolivian mountains and November 2017 the first anniversary of Fidel’s death. This lecture reflects on their legacy by analysing the evolution, development and emergence of the Cuban health system as a world renowned model of excellence. It will highlight the strong parallels with the development of the NHS and use comparative statistics to illuminate the fact that excellent health outcomes are effective use of resources. Cuba is currently spending about $1,800 person on health; spending in Ireland is around $3,800 and our neighbours in the USA spend over $9,000. Nevertheless all three countries have very comparable health indicators including life expectancy and infant mortality rates. Dr Una Lynch is midwife and public health nurse. She has worked in academia, practice and policy across the island of Ireland, Latin America, Africa and with the WHO in Copenhagen. Her primary areas of interest are ageing with dignity across the life course. She has led a number of EU and international research projects including a systematic review of social accountability and inclusive service delivery for Australia Aid. 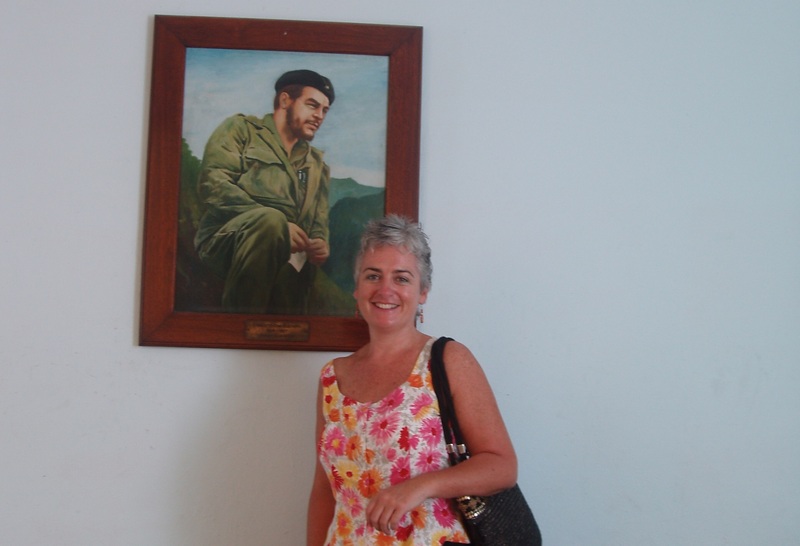 Her interest in Che Guevara started in the 1990s when she worked for two years as a volunteer in Bolivia with a Jesuit run radio station. The quest for learning about the Cuban health system started a few later during her MSc in Community Health at Trinity College Dublin. Her doctoral thesis “Public Health: why are the Cubans so successful?” was completed in 2007 and for the last ten years her work with Cuba has focused primarily on healthy ageing. In this presentation, Professor Bentall will focus on why social risk factors (for example childhood adversities such as poverty, abuse, and bullying) provoke the cognitive and emotional changes that lead to the development of the symptoms of mental distress. 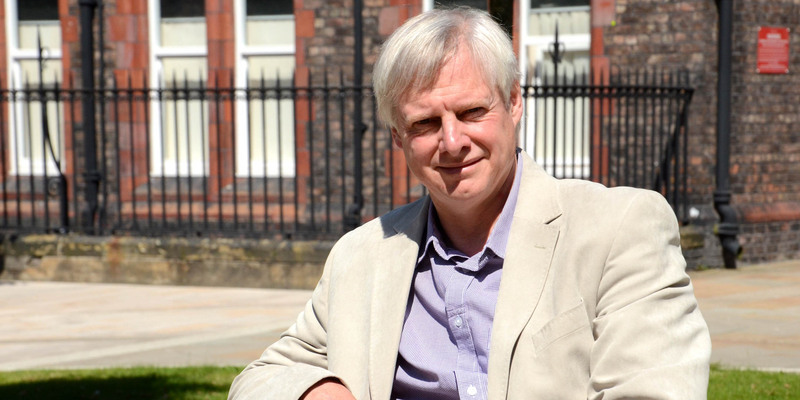 Richard Bentall is Professor of Clinical Psychology at the University of Sheffield and has previously held chairs at Liverpool University, Manchester University and Bangor University. He is a Fellow of the British Psychological Society and a Fellow of the British Academy. He graduated with a BSc and then a PhD in experimental psychology at the University College of North Wales (now Bangor University) and then completed his clinical training at Liverpool University. He also holds an MA in philosophy applied to health care awarded by University College Swansea (now Swansea University). His research interests have mainly focused on psychosis. He has studied the cognitive and emotional mechanisms involved in psychotic symptoms such as hallucinations, paranoid delusions and manic states, using methods ranging from psychological experiments, and experience sampling to functional magnetic resonance imaging. Most recently, his research has focused on why social risk factors (for example childhood adversities such as poverty, abuse, and bullying) provoke the cognitive and emotional changes that lead to these symptoms. In collaboration with colleagues at Manchester and elsewhere he has also conducted large scale randomized controlled trials of psychological interventions for people diagnosed with schizophrenia, bipolar disorder and prodromal psychosis. He has published over 250 peer-review papers and a number of books, including Madness explained: Psychosis and human nature (Penguin, 2003) and Doctoring the mind: Why psychiatric treatments fail (Penguin, 2009). Due to Unforeseen Circumstances it has been necessary to Cancel event we apologise for any inconvenience. A single individual, blessed with passion, integrity of purpose, a fierce determination to succeed and persuasive powers can, I am convinced, make a meaningful contribution in the on-going battle against abject poverty and deprivation in the Forgotten World. That the international community has failed miserably in its moral obligation to care for and love the poorest, the most neglected and needy people on our planet, is not in dispute. The downtrodden, the rejected, the hungry - those deprived of the very basic necessities of life - have been treated by their fellow man in a brutal and indifferent fashion, since records were first established. Thankfully, a small army of individuals from diverse backgrounds, were not prepared to sit back and allow the unwanted and the forgotten to be totally ignored. In a variety of innovative measures these remarkable people saw it as their mission to ensure that as many as possible of the millions who are denied the chance to live their lives to the fullest, get that opportunity. Victor Hugo famously said that there was one thing more powerful than the strongest army on the planet… an idea whose time has arrived. The time for social entrepreneurs to assert themselves is NOW. Positive behaviour support has evolved into an inclusive approach that blends behavioural, educational, and ecological best practice, and acknowledges the role of internal physical or psychological states and environmental and social drivers for behaviour (Allen, 2009). It emphasis increased focus on people’s quality of life, a proactive prevention of problem behaviour, and the importance of ecological validity (Carr, Dunlap, Horner et al., 2002). One of the most important and yet underemphasized aspects of PBS is that it is complex in both its conceptual system and its applied practice. Positive behaviour support has emerged from a number of different theoretical and practical orientations and draws on a large number of social science disciplines and ideas and it attempts to integrate and balance these within an applied and practical context. This presentation will discuss the evidence base and best practice guidelines nationally and the strategic approach the NAS is adopting to improving services for Autistic people and people with Intellectual/Learning Disability. Linda Hume is currently on secondment as the National Lead for Positive Behaviour Support with the National Autistic Society across the UK. This national post brings together a team of skilled practitioners to develop and lead on an organisational strategic approach to positive behaviour support. As part of this role Linda also works as a lecturer with Edinburgh Napier University leading the delivery of postgraduate modules on Positive Behaviour Support. Previous roles have included commissioning and developing community based services for with challenging behaviour both with the voluntary sector and health service. This has included developing and managing a specialist Positive Behaviour Support Team within the NHS. The British Institute of Learning Disabilities (BILD) awarded this team the winner of innovation in practice in 2012 for their role for their role in the reduction of the use of restrictive practices in health care settings. Stress can make you emotionally stronger and mentally sharper. We have all heard the expression “what doesn’t kill me, makes me stronger” and the remarkable fact is that this is true, within limits. This talk explains what these limits are and comes up with a dizzying conclusion about emotional resilience – too little stress can be as bad for you as too much stress. Stress acts like a drug that changes the chemistry of our brains, but like many drugs, it only works at the right dose – too little or too much, disrupts the brain. There is a ‘sweet spot’ of stress that “ups our game” not only emotionally, but also in terms of memory and focus. Older people who suffer certain types of stress, for instance, end up mentally sharper than those who don’t experience stress and children and teenagers who face moderate adversity in their lives end up much more emotionally robust than those who do not. But using stress for positive ends hangs on how we think about it and this books unravels the fascinating scientific and personal tale of how our minds can harness pressure to make us stronger and sharper. Ian H Robertson: as an eminent cognitive neuroscientist and a trained clinical psychologist, Ian has a unique ability to bridge the gap between brain science, human psychology and the personal challenges that every single person on the planet faces from time to time. His multiply-translated popular books include The Stress Test, Mind Sculpture, The Mind’s Eye, Stay Sharp and The Winner Effect, which have been reviewed, excerpted or covered across the world from CBS News to The Times of India and The Washington Times to the Guardian. Ian Robertson is co-director of the Global Brain Health Institute (www.gbhi.org) and is a Visiting Professor at University College London. He is an international expert on mind-brain links in emotional and brain disorders. He also has held senior appointments at, Columbia, Cambridge, and Toronto universities. Men’s Sheds are open to all men regardless of age, background or ability. The men come from a variety of backgrounds and are more likely to be unemployed/retired/semi-retired from both urban and rural locations throughout the island. The median age of men’s sheds members is approx. 60 years with around three out of ten men between 40-59 years. Aside from the direct benefit to the health and wellbeing of members, sheds also benefit other in the community, such as families and friends of members, who report improved relationships and better integration of elderly, retired and unemployed people. 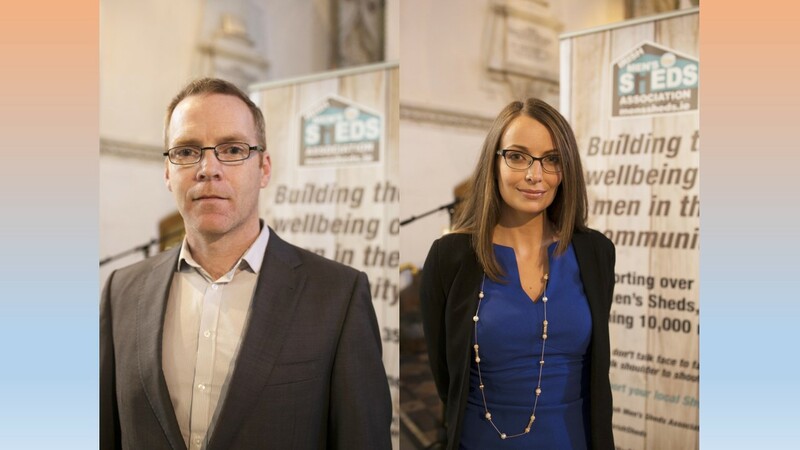 Barry Sheridan has been CEO of the Irish Men’s Sheds Association since 2014. Barry has gained a wealth of senior management experience working in diverse local development, social inclusion and SME projects. Barry’s experience includes designing, implementing and management of innovative strategic plans in the non profit sector while working in areas as social inclusion, unemployment, enterprise and education. It has also facilitated his understanding of the benefits that creative programmes can have development of Irish society. In his current role as Irish Men’s Sheds Association CEO, Barry has overseen a doubling in the number of men’s sheds in Ireland, doubled the organisations turnover, attracted national and multinational corporate sponsors and secured long term Government funding, securing the sustainability of the organisation. During the past 9 months Barry took on the task of coordinating the development of the organisations new Strategic Plan 2017 -2020 an ambitious and comprehensive plan outlining the strategic objectives of the organisation over the next three years. With a Degree in Spatial Planning from DIT and Masters in Health Promotion from the NUIG, Edel Byrne has worked extensively in the area of health promotion in the community and workplace setting within the NGO sector and most recently in the area of preventive medicine and health promotion in the clinical setting. She is responsible for supporting the physical and mental health and wellbeing of the men’s sheds members through the design and coordination the IMSA's Sheds for Life initiative, which aims to build on the established health-promotion qualities of men's sheds. 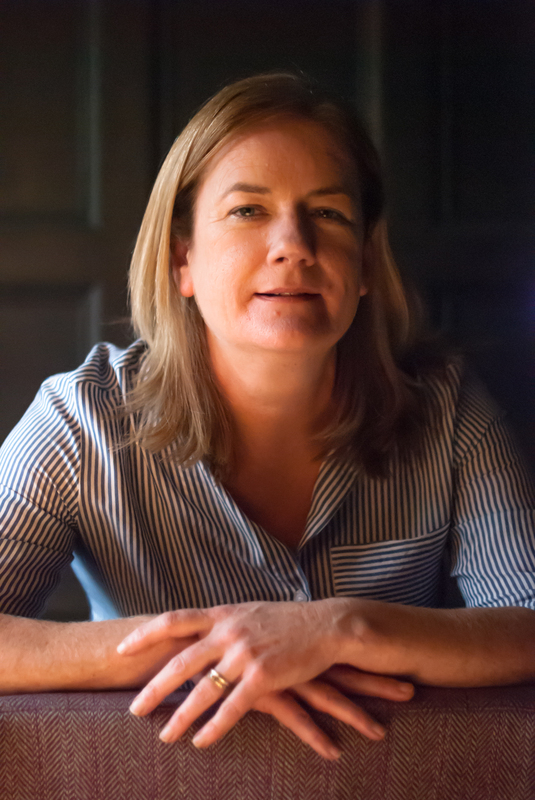 Fiona Mc Grane is the Clinical Nurse Manager II / Research Nurse for children with Down syndrome. Her post is based within the discipline of Paediatrics and Child Health in the Trinity Centre, Tallaght Hospital. She is a graduate of Trinity College Dublin and is registered within the disciplines of sick children's and intellectual disability nursing. Fiona has worked for many years within the area of disability, caring for children and adults in community, residential and hospital environment. She is currently the only nurse in the country who is employed to specialise within the area of Down syndrome and she provides a nationwide service for children and families from birth to 18 years. She currently has 450 children and their families that attend Tallaght Hospital along with hundreds of calls annually from families across the country. Fiona plays an active role in clinical decision making and ensuring that children have all their medical and developmental needs addressed. Fiona manages a nurse led clinic for children with Down syndrome, the first of its kind in the country, alongside the paediatric medical team in Tallaght Hospital. She is also a member of the steering group for the National Register for children with Down syndrome and also the Down syndrome Medical Interest Group UK and Ireland.